This incredible premium thread line has the strength and utility of a polyester thread and the easy stitch and finish of a cotton. Ultima™ is designed to be the go-to choice for quick and easy quilting and general sewing without any fuss. Ultima™ is much stronger than a 100% cotton thread, but still behaves like one. And unlike poly wrapped poly threads or other cotton wrapped poly threads currently available in the market, it carries an incredibly clean finish with zero glue or residue applied, meaning sewing machines will absolutely love it. 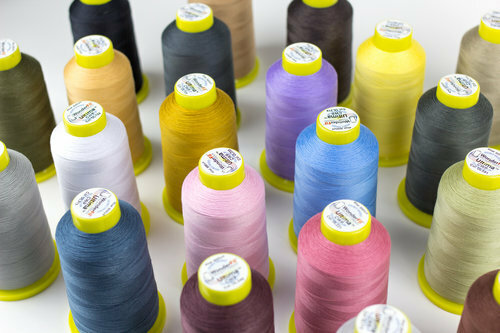 WonderFil™ has produced the cleanest wrapped thread in the sewing industry.